Disclosure: I received product in exchange, all thoughts expressed are my own. 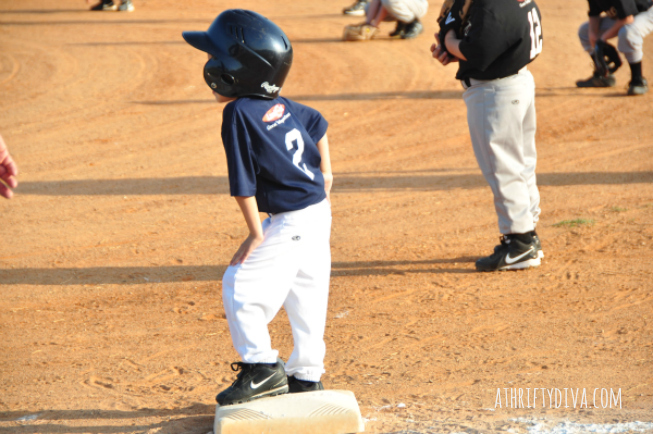 I have never taken care of my boys sports equipment the way it should be taken care of. And it’s probably what we spend the most money on. We have all kinds of things floating around outside. 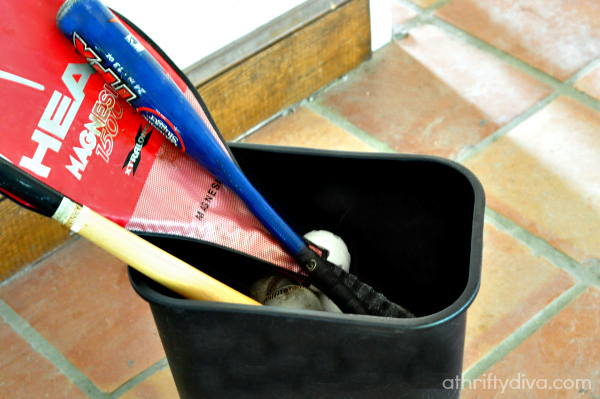 My sons baseball bag gets thrown on our patio. We have gloves, balls, helmets and other equipment in different rooms and the garage. My garage, looked like this yesterday. We literally throw random things from the boys in a trash bin for storage. I started to feel guilty about our lack of care for their items. I have been so consumed in renovating our home, clearing the clutter and organizing. Our dream home is coming along slowly but surely. I am thrilled that we are starting to have a special place for everything. It’s so refreshing to give everyone’s stuff an organized home. And long overdue we now have Rawlings Flexible Sports Organizers. I have devoted a space on our garage wall to house sports gear. As the boys come across random athletic items they now have a place to put them. 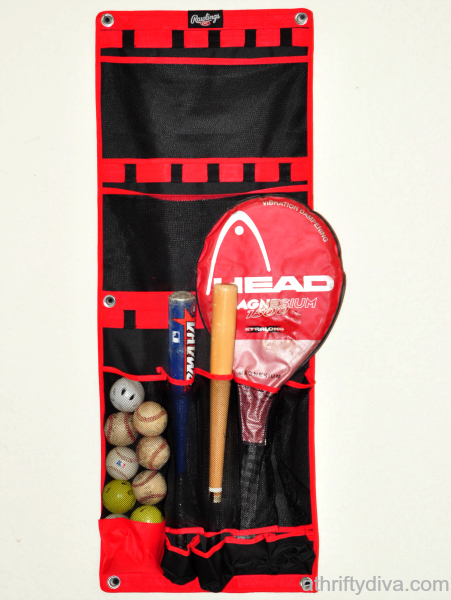 Rawlings Flexible Sports Organizers are available in three varieties including caddies and vertical mesh compartments with hooks and cinches to store all kinds of gear. The vertical smart storage solutions can hold up to 25 lbs. of equipment. Made of mildew- and abrasion-resistant durable vinyl and mesh, making them perfect for any room including garage, shed and closets.